Temporarily suspended rail service between Calp - Dénia. Temporary interruption of the railway service in the Calp-Dénia tram since 07/28/16. The service is carried out by bus between Calp-Dénia. The schedules are currently published (approximate). Sorry for the inconvenience. It is mandatory to buy the travel title before boarding the bus. New location of Dénia stop (see below). You must buy the ticket before you get the bus, thank you. Benissa: N332 Av. Pais Valencià, Alsa bus stop next to "Bar Frau"
Teulada: new stop in the entrance roundabout to Teulada. La Pedrera: Cancelled. Nearest stop: Alqueries. 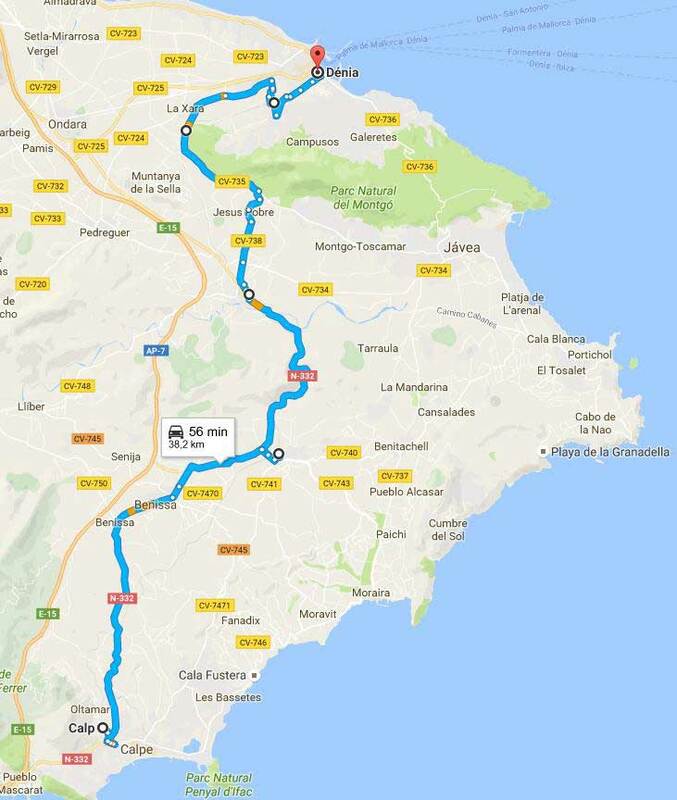 Dénia: Doctor Manuel Latur street (side of the Denia train station) (Both directions) (Stop in both directions) New Location!